Editorial: Socialist “William Jennings Bryan told members of the Oklahoma Constitutional Convention that they had borrowed the best provisions of existing state and national constitutions and had, in the process, created the best constitution ever written.” Conservative Scholars disagree, but how is it working for your family? Oklahoma long suffered under stylized Democratic Socialism, but Tuesday we decide for governor between Mick Corrnett and Kevin Stitt – in a precarious time. Summit Club deserts are delicious. Mick Cornett, former journalist and mayor of Oklahoma City, is personable and camera ready, but speaks only in glittering generalities. Some assert that privately Cornett will reveal details, but I have difficulty letting vacuous individuals pass. Cornett answered in ambiguous phrases. The room was full of active Republicans. Everyone at my table wondered if Cornett thought we were stupid or is he an empty suit? 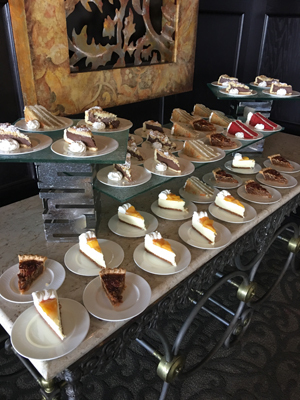 In this writer’s opinion, the desert table offered more policy nutrition. In another meeting Kevin Stitt spoke and the difference was striking. Stitt believes in God and County fundamentally. It informs and structures his business and public policy approaches. Stitt pledges to install transparency, establish performance metrics and calls for audits throughout state government. It is refreshing, hopeful and will be a change, for example, to a state health department shown recently to have lost track of their own slush funds. My question following Kevin Stitt’s presentation challenged how well corporate measuring would work in government. The governor’s office holds far less executive power than is common in most other states, but gets blame for most everything beyond tornados. Stitt asserted he will force accountability. He will demand quality job performance as appropriate and he will hold both officials and appointees to the highest standards. Stitt is a disruptor, like President Trump, challenging existing power structures. 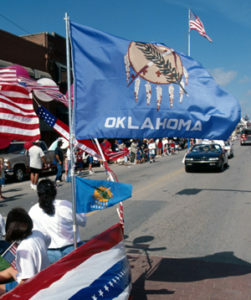 There is much to fix in Oklahoma. As former-Labor Commissioner Mark Castello often said to me, “Oklahoma’s biggest challenge is cronyism.” Said another way, too many in Oklahoma own sacred cows and some have herds they don’t want anyone ever to cull. Also endorsing Stitt, former-Senator Tom Coburn said, “While Kevin and I have not always seen eye-to-eye on policy decisions during this election season, I have appreciated his eagerness to listen and apply conservative principles in his decision-making process. “Kevin is committed to delivering accountability and transparency to state government, and he is the fresh, new leadership our state Republican Party needs. Kevin Stitt is driven by his faith and I applaud his willingness to leave the private sector for a season to serve our state. 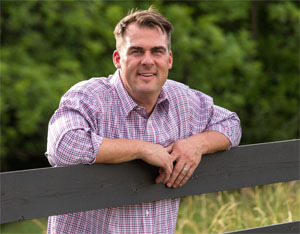 I urge Oklahomans to join me in electing the only conservative outsider in this race, Kevin Stitt,” Coburn concluded. In agreement, I add that Kevin Stitt is most likely to implement the instruction found in Jeremiah 50:2, “Set up a standard, publish and conceal not.” Stitt is a change agent and, in these times, Oklahoma needs clearly articulated public standards for change. This entry was posted in State on August 23, 2018 by admin. Looking forward to a Stitt campaign leading the way to November. The only thing in addition to what I’ve already read, is what does he think about public education and will he see to it our teachers and staff are paid a fair wage in line with other stares? Mr. Arnett, thanks for your solid endorsement of Kevin Stitt for Governor! Thank you for your endorsement of Kevin Stitt. Oklahoma needs a refresh and he is the one to lead that. Looking forward to more truth-filled editorials from Tulsa Today. Thank you for the very supportive editorial outlining your favoring Kevin Stitt for Governor! We too think our problems are so large that it will take a special person to tackle all our state’s problems, one at a time. Yes! Kevin Stitt has a proven record of creating success and he is the right leader to change the path for Oklahoma! Way to go Tulsa Today! Kevin Stitt for governor! You will not be disappointed!